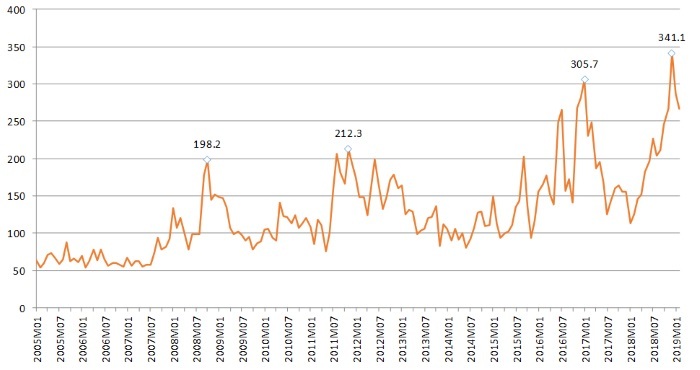 WTO economists have attempted to quantify the medium-run economic impact of a wider trade conflict in which international cooperation on tariffs breaks down completely and all countries set tariffs unilaterally (Bekkers and Teh, forthcoming). 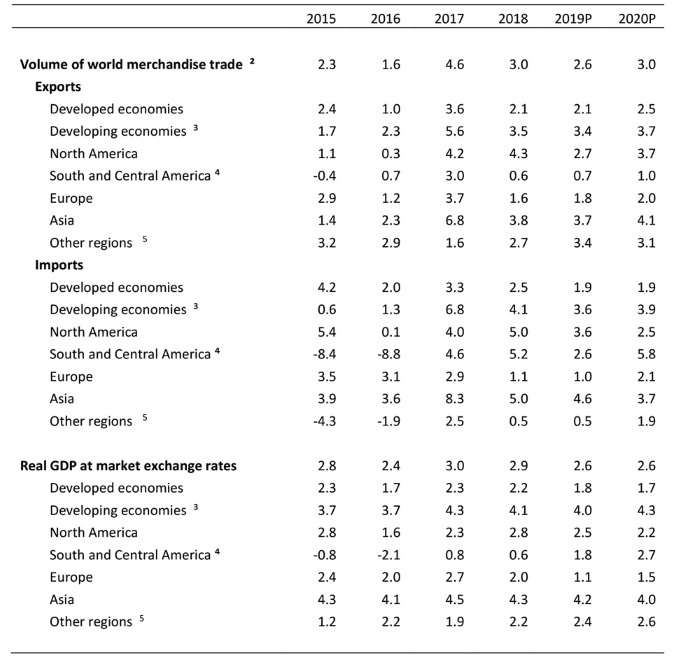 Under this study, such a “worst case” scenario would lead to a reduction in world GDP in 2022 of about 2% and a reduction in global trade of about 17% compared to baseline projections. For comparison, global GDP fell about 2% and global trade dropped about 12% in 2009 following the financial crisis. Chart 5 shows merchandise export and import volumes by region. The deceleration of trade in 2018 was driven primarily by Europe and Asia due to their large share in world imports (37% and 35%, respectively). 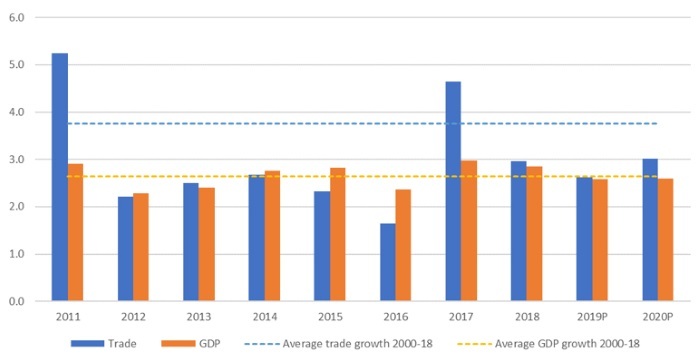 After recording strong increases in 2017, Asia saw its trade growth moderate in 2018. 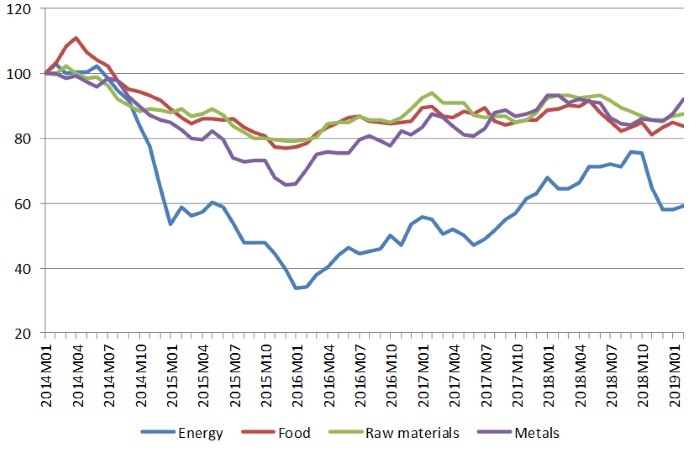 Meanwhile, Europe’s exports stagnated throughout the year while its imports declined gradually. 2 Other regions comprise Africa, Middle East and the Commonwealth of Independent States, including associate and former member States. 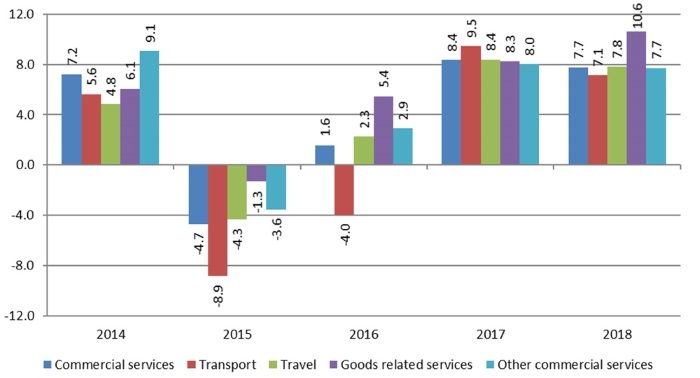 A major exception to the trend was North America, where a buoyant US economy contributed to strong import growth of 5.0% in 2018 (Table 1). “Other regions”, encompassing Africa, the Middle East and Commonwealth of Independent States saw export growth accelerate to 2.7%. South America’s trade flows have continued to recover gradually but have been buffeted by weaker external demand and domestic economic shocks. Forward-looking trade indicators have turned negative in recent months, including the WTO’s World Trade Outlook Indicator (WTOI). 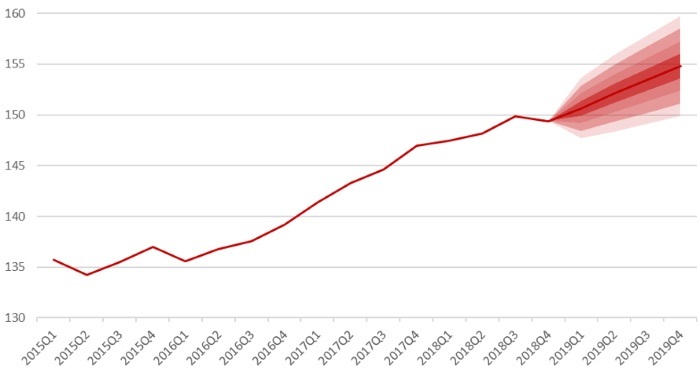 In February the WTOI index fell to 96.3, below its baseline value of 100, signalling slowing trade growth into the first quarter of 2019. Air freight shipments also started the year on a soft note, with international freight tonne kilometres (FTKs) down 3.0% year-on-year in January, according to statistics from the International Air Transport Association (IATA). 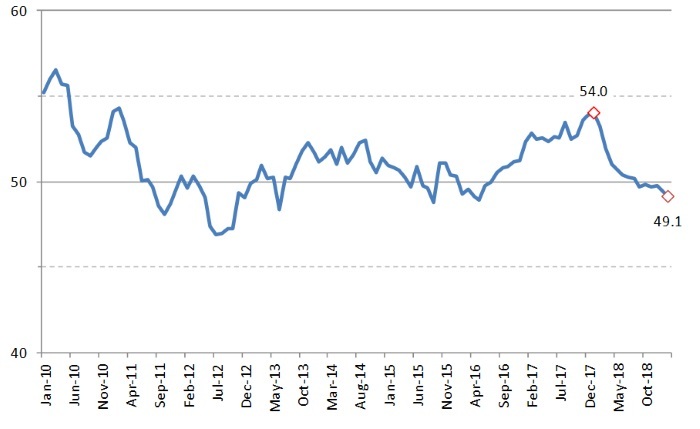 A measure of global export orders derived from purchasing managers’ indices has also fallen to 49.1 in February, below the threshold value of 50 separating expansion from contraction (Chart 7). Taken together, these data point to continued trade weakness in the first half of 2019. 1 Figures for 2019 and 2020 are projections. 2 Average of exports and imports. 3 Includes the Commonwealth of Independent States (CIS), including associate and former member States. 5 Other regions comprise Africa, Middle East and Commonwealth of Independent States (CIS).